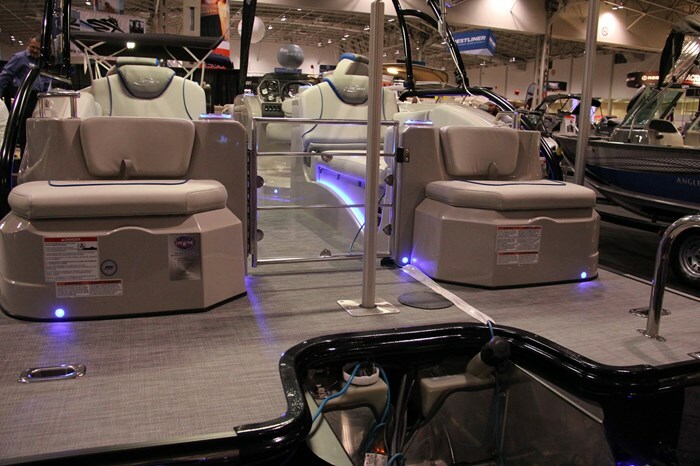 Last year, Boatdealers.ca reviewed the Sylvan S3 pontoon boat, one of two recently introduced models of the new S Series for 2014. Sylvan has expanded this S Series for 2015 by adding an “Extreme” designation as separate models in the series thus creating four separate models in the S Series. 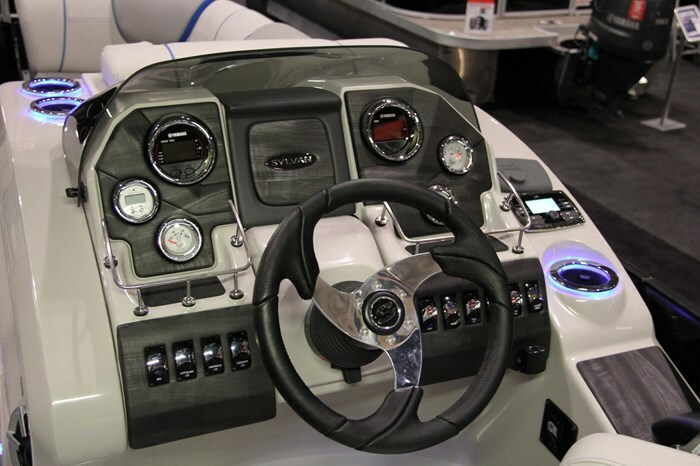 The “Extreme” designation does not change the basic specifications of the S3 or S5 but instead is an upgrade to both boats by adding more standard equipment, some of which was optional on the base model plus adding the “Extreme Package” as standard equipment. This new “Extreme Package” was not even available in 2014 and, since this package dramatically changes the look and marketing focus of the S Series, becomes a stand-alone model designation for 2015. 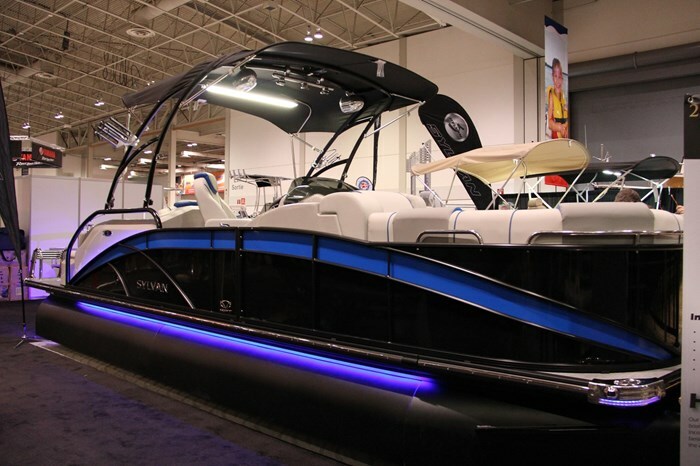 Since the basic layout, amenities, and performance criteria of the 2015 S3 Extreme are unchanged from the 2014 S3 model reviewed in 2014 by Boatdealers.ca, this 2015 review will not repeat those features but instead will concentrate only on the equipment and feature additions of this most exciting Extreme model designation. 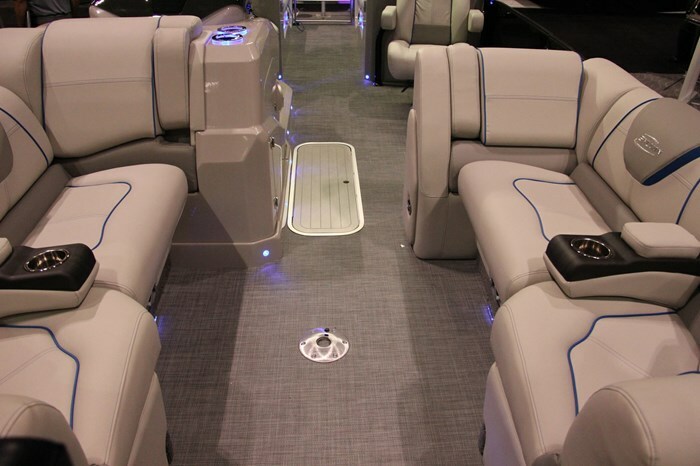 Readers are invited to study Boatdealers.ca’s 2014 Sylvan S3 Pontoon Boat review to determine the substantial starting point to which this even more substantial Extreme Package is added and which creates and deserves a stand-alone model designation. What the Extreme Package accomplishes, in essence, is to dramatically change the outward appearance of the S3 and give it a sportier, more youthful, and exciting look by giving the S3 black painted tubes, black anodized rails, rear platform jump seats as standard equipment, and if you order the wakeboard tower option, it will come with a black anodized wakeboard tower support structure. 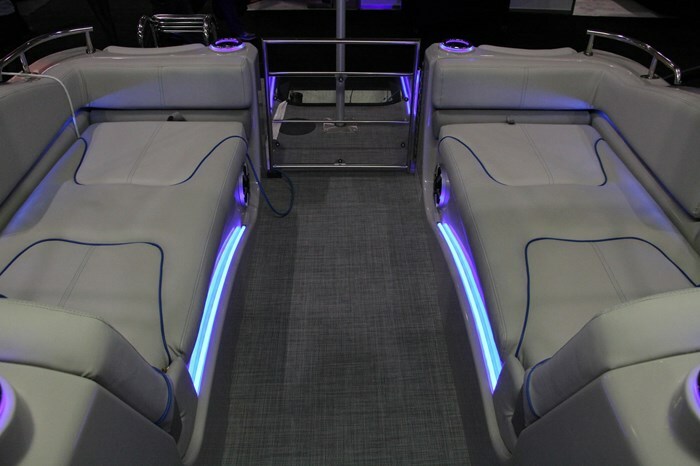 It is part of the Wake Tower Package and it gives you the wake eye brow bimini, a wake light bar, wake speakers, and wake board rack. How sporty is that? 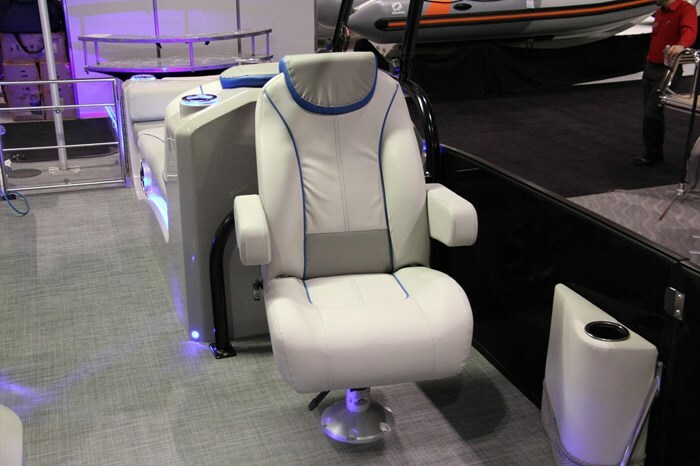 Inside, the Extreme Package includes an upgraded high-back helm chair with recliner, headrest, swivel and slider adjustments, plus flip-up armrests. Even the lounge seats come with retractable armrests. You still have your choice of Arctic (white) or Platinum (Silver) upholstery colours coupled with your choice of four upholstery trim colours including yellow, blue, lime, or red. Choosing one of these combinations will be difficult since they are all classy, youthful, sporty, and exciting. The Extreme Premium Sound Package option gives you upgraded Polk speakers plus two subwoofers and amplifier. 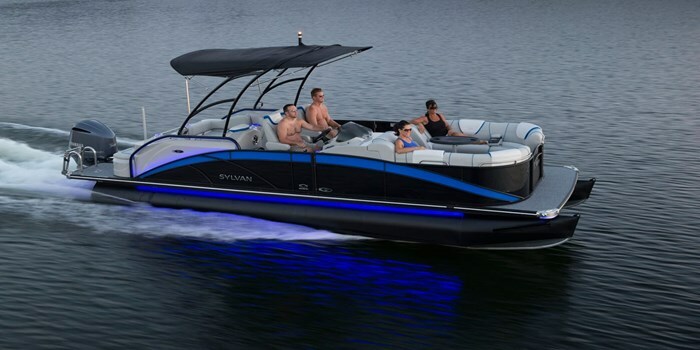 If this Extreme model designation happens not to be exactly your cup of tea, check out the huge selection of pontoon boats that Sylvan offers for 2015 including a total of forty-seven models eighteen to almost twenty-seven feet in six series. There is most likely one that will be exactly what you are looking for. 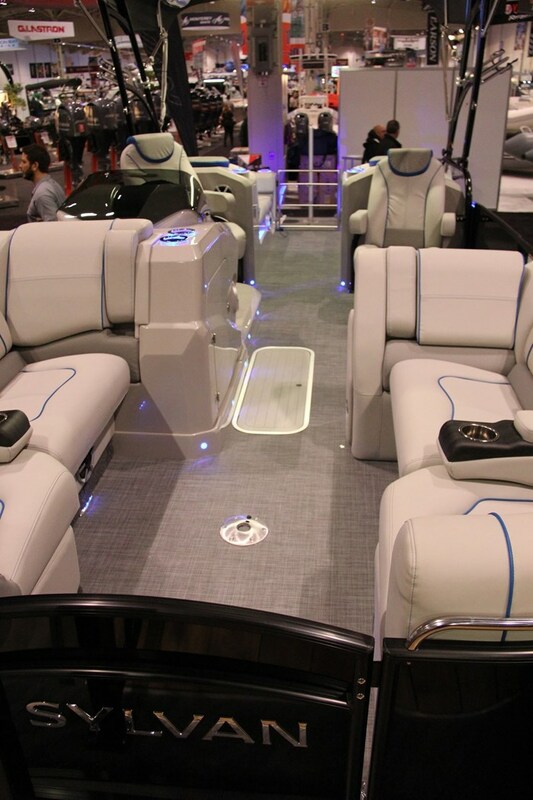 On the other hand, this new S3 Extreme will set you apart from most other pontoon boats on your lake. It certainly is extreme and it certainly is appealing.